A Young Prince With Mystics; Mughal Period India; circa 1635 CE | Aga Khan Museum | Click image for larger view. and years of friends…what a nice circle we enjoy! Dr. Kashyap Dave, Dr. Hassan Azad, Hassan Suhrawardy, Zulqurnain Kalyar, Hazra Saptasrhri, Aniruddha Mitra and many others who are dedicated to keeping the valuable tradition alive! Wow! What a treasure trove this looks like! My many thanks go out all the contributors and the people of this site for providing this wonderful gift to music lovers. Now I’m going to get listening, if you don’t mind?! another superb collection! my favourite out of all these wonderful recordings is radhika mohan maitra’s chhaya bihag. this 10 min version was preceded by 10 mins of shri raag and a 10 min thumri on an AIR broadcast. there is also a longer version of chhaya behag in some collections that we would all love to hear one day. All the recordings are outstanding , Hats off Aftab ,you are great. This version of Radhu Babu’s Chaya Bihag is played on the his Mohan Veena (sarod/sitar hybrid). Thank-you for it: I had not encountered it before. I have a short (5 min.) version on the sarod where the right hand strokes are more pronounced and there is less vistaar. It too is superb. My source of it is Track #2 on a CD of various string instruments of India. I’ll post the precise source after I find it. If anyone can track down the longer version, that would be helpful. Vinay! You’re absolutely about the RMM performance. I have both Chhaya Behags. Will correspond. @ Siyar you have been granted permission by the managent to listen to the tracks….i highly recommend Ravi Kichlu’s Bhairav. Also the Faiyaz Chhayanat is very old. its spliced from 3 tapes at one session. It is really a nice artifact. Great recommendation on the VK Bhairav, Aftab-bhai! This was a brilliant Agra rendition, from first second to last. Wonderful stuff! Btw, who’s Prem Rang? Sharafat Hussain Khan? Yes,” Premrang” is Ustad Sharafat Hussain Khan sahib.BTW there is another “premrang” who is actually Pandit Dhruva Tara Joshi. All of them are from The Agra Clan. Can that Longer Chaya Behag shareable with the world? So do you know which Premrang’s composition is the Bhairav? Thanks John for providing the text. If I could also trouble you for a translation. So I’m guessing this is a chiz of Ustad Sharafat Hussain Khan? Indeed! It has been a while since I listened to that recording so had forgotten the bandish. Thanks! Parvatikar Bhopali on the Surmandal ! Inspiring! Thumbs up , hats off ! I wish more people played the surmandal as a solo instrument. I have a dozen or so tracks. To my ears, the ‘Faiyaz chhayanat’ sounds very much like a Mushtaq Hussain Khan recording. I could be wrong though. Any one willing to Exchange some Radhika mohon Maitra tracks? I personally Have Khat Todi,Lachari todi,loor sarang,bangal bhairav & some others. good morning came to site after a while in the mean time have been interested in western classical music specially operatic arias I would like you all to listen to (O ZITTRE NICHT Edda Moser) just copy paste in youtube search without brackets.classical music endures and inspires beyond ages.western classical is a bit different still enjoyable.thanks. Thanks for all those masterpieces! 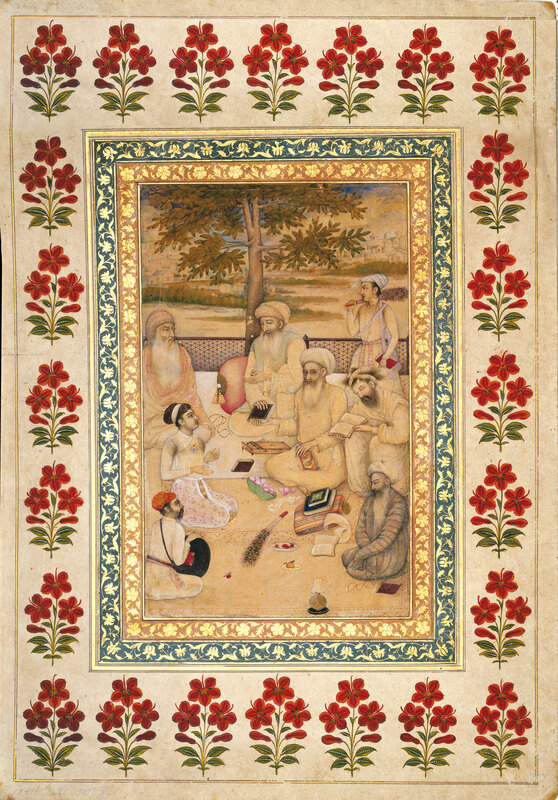 especially the Hindoli bahar by Manzoor Khan. What a distinct style of taans and layekari plus it has an aura different from the rest of the list. This is how each one of the vocalists is different from others. My vote also goes to Mr Aftab Datta for the presidentship! 🙂 Thanx for such mesmerizing numbers! In my opinion, the most charismatic of the Agra Gharana vocalists after Ustad Faiyazz Khan Sahab, is Ustad Latafat Hussain Khan. The gruff, masculine tone of the Agra Gharana, seemingly opposed to the rendition of pure wholesome tones, deliberately cultivated by the Sages of this Gharana may appear to be a starting handicap in a race of thoroughbreds. It would seem that the Masters of the Agra Gharana wanted their singers to go on stage and rely only upon their intrinsic and abstarct musical talents with no support from purity of tone, the wholseomness of the pronounciation of the bandish and so on. “Show the audience what music there is in you. Do not reply upon the quality of your voice and the tonal purity and the beauty bof the Raga “. How magnificently the Masters of the Agra Gharana have excelled under these stiffling constraints. It now seems that this were no constraints but a key to going beyond voice and wordas to the world of the most abstract music. And Ustad Latafat truly excels in separating music from the voice and the tone and produces divine music. Have others more concerts of Ustad Latafat and Sharaft Hussain Khans in their collections and willing to share ? Shrikrishna Narayan Ratanjankar also a great member of Agra Gharana. We do not forget of His unique activities on the field of the Indian musicology. He was one of the very few (serious) scientist after the times of Pandit Bhatkhande’s death. And here I would like also to thanx the rare recordings. A great amount sites are existing on Indian Music but very few such generous and valuable. Absolutly pranam. My father late Surendranath Bali sahib was perhaps the only Sitar maestro after his ustad Hamid Hussain who excelled in the ‘Tantkari’ style of playing the Sitar. I would like to share with the members of this site of discerning listenership the only two recordings that I could manage to retreive from his legacy. Kindly let me know how Ican upload the recordings on your website.